It’s OK for little kids to have imaginary friends, but now that Jackson is about to start fifth grade, the reappearance of his old imaginary friend is just one more thing to worry about it. And Jackson’s life is already full of enough worries. Since his music teacher mom’s job was eliminated and his construction worker dad was diagnosed with multiple sclerosis, money has been tight. Like never-getting-enough-to-eat tight. Like selling-all-the-furniture tight. Like we-might-have-to-live-in-the-van-again tight. His little sister Robin is too young to remember what it was like during the month they lived in their minivan before, but Jackson remembers. He remembers how hard it was to sleep in the van with Robin kicking him all night. He remembers how police would sometimes ask them to move on when they parked somewhere for the night. He remembers how bad the van smelled after a few weeks. He remembers it all — and he doesn’t want to live that way again, especially since being homeless means leaving his best friend Marisol and switching schools, too. So seeing his old smart-talking giant cat best friend in the shower is pretty much the last thing he needs. Jackson hasn’t seen Crenshaw in years, not since his family’s minivan life days, and he’s convinced that the cat’s reappearance means that he’s going crazy. But Crenshaw may be just what Jackson needs to get through his family’s financial crisis without losing his mind. Homelessness isn’t a fluffy-happy topic to tackle, but Applegate does a good job of making it both believable (so many families are one crisis away from financial disaster) and not-too-scary (the scariest parts of the story take place in the past, so you know already that Jackson’s family gets through them). Kids can empathize with Jason’s worries and his frustration when his parents try to keep the extent of their situation from him and Robin. 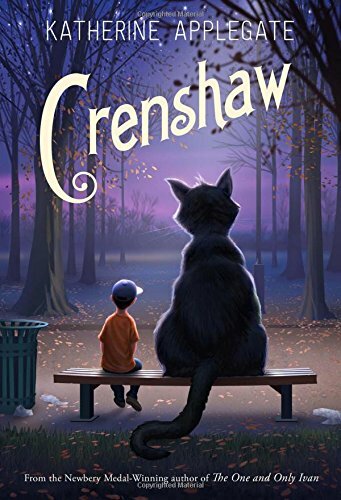 While Crenshaw doesn’t actually play a big role in the book — most of the time, Jackson’s just trying to get rid of him — he adds some much needed humor to the story. And while the book’s happy ending feels maybe a little contrived to grown-up readers, I think it’s the right note to end the story on for kids — and it’s a nice illustration of how the kindness of strangers can make a big impact. 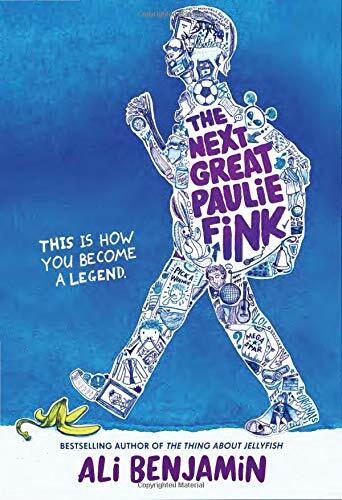 Katherine Applegate’s first post-Newbery award book is a worthy follow-up to The One and Only Ivan and definitely worth adding to your middle grades reading list. I might veer toward reading this one as a readaloud, especially to younger kids, just because kids might have questions or concerns that you can address as you go.